When Tungsten wedding bands were first released, they were generally very simple band designs, without any specific details. However, as their popularity has grown, demands on design has grown as well. 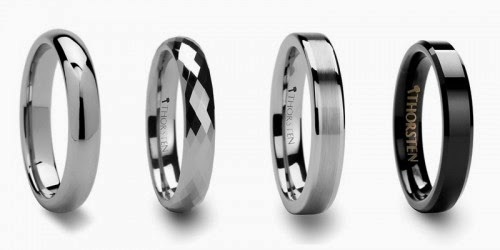 As a result, there are now various styles of tungsten wedding bands available. Let's take a look at the different styles that exist. Black tungsten rings are some of the newest models out there. They are absolutely stunning in design, being one of absolute blackness that never loses its shine or color. They are truly unusual and will make your rings stand out from the crowd. "Black tungsten wedding bands feature a deep midnight black tungsten finish made of a black titanium coating combined with the raw strength of tungsten carbide." The other option is to choose a tungsten ring with black ceramic. This is because regular black tungsten uses a coating of black titanium alloy, which isn't as scratch resistant as regular tungsten. When opting for black ceramic, however, you do get the durability and resistance that tungsten is so famous for. Either way, your ring will be of a beautiful and classy black color. White tungsten rings are particularly popular. They have the look of white gold & platinum, which gives them a more traditional look. However, they continue to have the durability of regular tungsten. In order to achieve the white look, these rings are bonded with rhodium. Rhodium is from the platinum group of metals, which is what creates the beautiful and classical color. Finally, there is gray tungsten. This is just tungsten as it is, meaning that nothing has been added to change its color. However, you do have to bear in mind that a gray tungsten ring does have nickel or other similar material in it, which is what gives it shine as well. Gray tungsten, however, is more often used in industrial processes, rather than in jewelry designs. Besides the colors, it is also possible to have rings with insets or inlays. For instance, tungsten rings may often have an inlay of another material, most notably black ceramic, silver, gold, palladium and platinum. These rings are particularly popular. "This 8mm tungsten wedding band features highly polished beveled edges and a brushed seamless inlay of 18K rose gold embedded into brushed tungsten carbide, creating a stunning combination of valuable and exotic metals." Additionally, it is possible to add diamonds or other stones to the rings as well. If you do decide to use an inlay or a stone, then you must understand that these parts of the ring will not have the same durability and hardness as the tungsten rings. Only tungsten has these properties, so you may find that the inlay of your ring starts to look worn at some point. However, this can be avoided with suitable maintenance. Finally, you could think about engraving options. When tungsten was first released, engraving was virtually impossible and would only leave a highly faded impression. Now, however, lasers are used for engraving, which has opened up a whole new world of possibilities. Fantastic and intricate designs can be included in the rings so that they look even more unusual and beautiful. Engraving should not affect the integrity or durability of the ring itself. However, it is very important that you speak to your jeweler about whether or not they will require specific maintenance or regular cleaning. It is unlikely that they do, but there are exceptions and it is best to ask and know than to find yourself with a faded ring. should get the chance to be pampered and adored. What’s more, all this should start before you even arrive at the ceremony. Despite all this, countless brides are still asking themselves if it’s worth investing is a professional makeup artist. If that sounds like you, let me stop you right now - the long and the short of it is yes, you absolutely should. Of course, it’s completely understandable for brides to be somewhat skeptical about hiring a professional makeup artist for their wedding day. You do your own makeup on a daily basis so why should you pay someone to do it for you just because you’re getting married? It’s worth remembering that your wedding day is the most memorable day or your life, it’s no ordinary day so therefore surely nothing about you should be ordinary either. 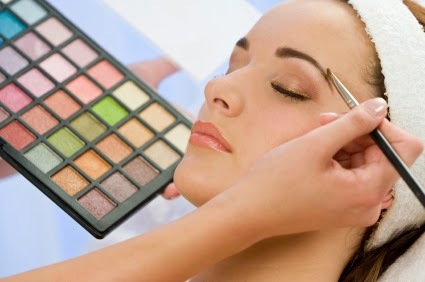 A professional makeup artist will be able to make you look absolutely flawless. They’ll be able to advise you in what colours best suit your skin tone and will glow alongside your dress. They’ll be able to paint your eyes so they dazzle and will be able to give you expert advice on whether or not you’d benefit from a set of fake eyelashes etc. Remember, more often than not, makeup artistry is a makeup artist’s passion. Making women look gorgeous is what they do day in and day out, it’s what they’ve trained for years to do, so rest assured they know their trade. The makeup you wear on a day to day basis simply won’t cut it when it comes to your wedding day either. It’s designed to be worn in natural light, not the dazzling light of your photographers flash, and likely won’t compliment you quite the same once you’re dressed all in white. If you hire a professional makeup artist however they’ll come with their own vast collection of makeup, all of which are far from your ordinary mascara and blushes and are designed to make you look your best. These professional cosmetics stop your skin from appearing washed out or shiny in photographs and will last all day and all night meaning you’re not having to vanish for a touch up every so often. By hiring a professional makeup artist you may well be placing your face in someone else's hands but it doesn’t mean you’re losing control of your looks. It simply means that you get the benefit of a professional’s expertise and artistic hand while still being able to decide whether you wish to look traditional, natural or chic. For those of you who still aren’t convinced that hiring a professional makeup artist is the way forward, consider this point again - you deserve to look and feel like a princess, you should get the chance to be pampered and adored. Your wedding day only comes around once so be sure to make the most of every second of it. Be pampered. Be adored. Be gorgeous! Whenever you go to a jeweler, you will notice that a new material is hailed as the best of the best. Once upon a time, wedding rings were made out of gold, but we have soon switched from that to stainless steel, to platinum, to titanium and now to tungsten. Tungsten is said to be the hardest material on the planet, which leaves the rings fully scratch resistant. Indeed, the only material that is as resistant to scratches as tungsten is diamond. Let's take a look at the advantages of tungsten wedding bands over other kinds of wedding rings. The main advantage of tungsten carbide is that they are so durable. They won't scratch and fading is minimal, although this depends on whether cobalt or nickel has been used in the finishing of the ring. Indeed, tungsten wedding rings can become true family heirlooms, being passed down from generation to generation. "In terms of durability tungsten carbide rings are top notch. Tungsten carbide is roughly 10 times stronger than gold and 4 times stronger than titanium." Because the rings are so strong, people worry about whether or not the ring could be cut should they ever have a medical emergency, or if they put on a lot of weight and the ring becomes stuck. However, for all its strength, it can still be cut. Additionally, because of its durability, it won't change shape as a gold band can do, which means that it also won't put pressure on your fingers. As such, it is a safer option as well. "Tungsten carbide wedding bands are much safer than bands made from other metals. Tungsten bands do not bend. So in a critical moment the band will break in many pieces without harming a finger." Therefore, the myth that you would have to have your finger removed in case of an emergency is completely untrue. If you have any jewelry at present that isn't made from tungsten, you will know that you have to spend money on maintaining it. If you don't regularly have it polished and cleaned, it will start to lose its shine and it won't look as nice as what it really could. Tungsten, on the other hand, never loses its shine. "Tungsten bands do not lose their shine, once they are polished and remain brilliant and sparkling for a long time. As tungsten rings stay the same for a long time, many people opt for them as their wedding rings because it symbolizes the marriage vows of long-lasting love and devotion between the husband and wife." It should be clear why people are choosing to wear tungsten rings nowadays. It is also a myth that they are only suitable for men due to their rugged look and material. The designs are incredibly beautiful and can be created for men and women alike. They can also have additional materials included to give certain details, including precious gems or entire bands of other materials. As such, they can be made in such a way that is unique and special to you. Most agree that tungsten really is the most appropriate material to demonstrate the love between two people. The only material that may be better is a diamond, but it is not possible to make a ring solely of diamonds. Instead, you could decide to have a diamond fitted on a tungsten ring, which is particularly suitable for women. That way, the couple can wear a matching set, one with diamond and one without. The rings will last forever, as will your love for each other. How Should A Tungsten Wedding Ring Be Worn? More and more people are choosing tungsten wedding rings over the traditional gold bands. This is because this material has a huge amount of benefits compared to other rings. The main reason is that tungsten is almost fully resistant to scratches, making it perfect for those who work outside. "Denser than other jewelry metals, tungsten is best known as an industrial metal. Before the tungsten carbide alloy was introduced, tungsten was used to make everything from heating elements to engine nozzles because it retains its shape even at extremely high temperatures." Indeed, there is only one material that is as resistant to scratches as tungsten, which is diamond. As such, a tungsten ring can always be worn, regardless of the type of job you do. Some people worry about whether or not the ring could be cut if there is ever a medical emergency, but there is no need to worry about this at all. "In any situation where there might be a medical necessity to cut off or remove a tungsten ring--for instance excessive weight gain, hand injury, etc.--removing a tungsten ring doesn't pose much more of a challenge than cutting through a gold or platinum wedding band." Who Can Wear Tungsten Rings? It seems as if most tungsten rings are designed specifically for men. This is probably because the majority of jewelry designers create quite broad rings, which are manly in appearance. However, there are no rules to say that tungsten is a purely male material, and more and more jewelers are starting to create beautifully designed rings specifically for women as well. "The same qualities that make tungsten carbide rings so great for men make them great for women as well. The strength and beauty of tungsten carbide matches well to a woman's own strength and beauty." There is one downside to tungsten and its extreme hardness, so that it cannot be resized. This is why it is hugely important that you purchase a ring that fits and that you can leave on comfortably. Unfortunately, that also means that if you were to lose or gain weight and this translates onto your fingers, unless your jeweler offers a lifetime replacement guarantee, you will have to purchase a new ring. Planning your wedding is an exciting affair. Your main priority is to make everything perfect as you choose the cake, the flowers, the dress and everything else that will come together to make your day as memorable as ever. One of the biggest problems couples have when planning their wedding however is money. Even a small wedding can cost a small fortune which gets a lot of couples wondering just who pays for what? It’s an issue that can turn planning your wedding into a stressful struggle opposed to the dream it should be. To make things a little easier for you, here’s a brief guide of who should pay for what. Who Pays For What Traditionally? In times gone by, the bride’s parents have been the ones to pay for the majority of the wedding. Everything from the dress to the cake, the venue to the band were left to the bride’s parent’s, often leaving them with a hefty bill to pay come the special day. The groom’s parents on the other hand got off much lighter seeing as all they’re expected to pay for is clothing for the groom and his party and any travel and accommodation expenses they may incur. Traditionally, the bride and groom themselves were left with incredibly little to pay for. The happy couple would be left to pay for the honeymoon, gifts for both sets of parents and, in a small majority of cases, any unforeseen expenses that may have exceeded the original budget. What’s The Modern Take On Things? If you’re a parent of the bride reading this, don’t panic. The traditional way of paying for weddings is fast being forgotten. With the growing cost of weddings, it’s completely understandable that one set of parents simply cannot afford to pay for virtually everything. 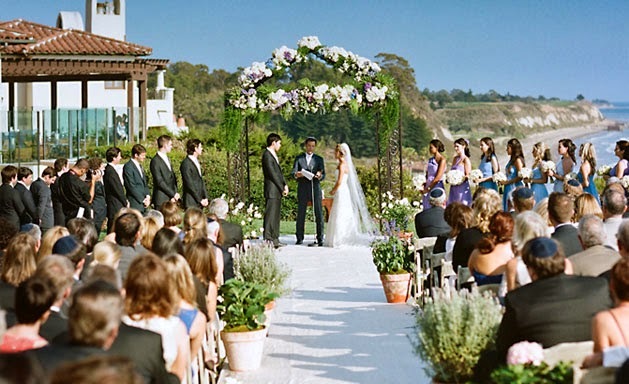 Now there are numbers ways for the happy couple and their family to split the wedding cost of the wedding and each of them are highly acceptable. Who pays for what in modern weddings differs depending on each family’s financial situation and desires. In some cases, both sets of parents split the cost equally between them while in other cases the bill is split three ways with the bride and groom contributing too. Of course, there will be times when our families or parents simply can’t afford to take on half or even a third of the bill and so they volunteer to pay for just one or two key elements, such as the cake or the dress. Parents or other family members may simply donate a set amount of money for the bride and groom to spend as they see fit. If financially possible, it’s becoming an ever more popular option for the bride and groom to pay for the wedding themselves. It puts no financial pressure on their parents and is also a great way for them to show their independence as they enter into married life. In the modern world, the options for who pays for what really are endless so couples need not feel pressured to do things the traditional way. It really is a case of who can afford what so be mindful of this and be thankful for every kind donation towards your wedding day.